Roads or bridges that are frightening to look at aren’t common but in some places like in Sakaiminato, Japan; it is a common sight. 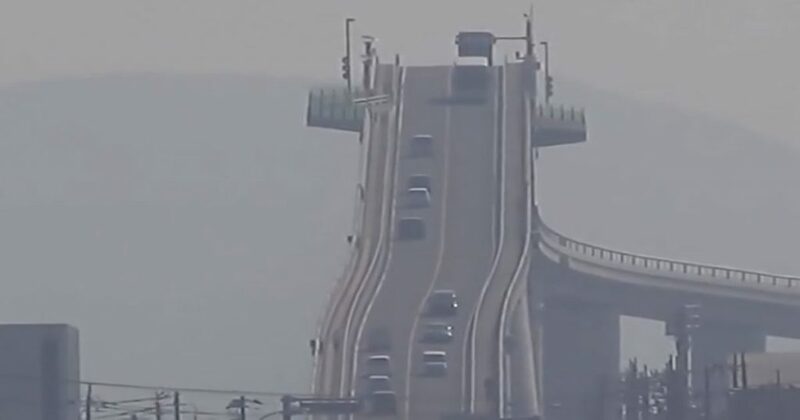 ‘The Rollercoaster Bridge’ or the Eshima Ohashi Bridge is scariest bridge in the world because it resembles a rollercoaster. That’s how steep it is. Drivers passing by this bridge will have to hold on to their steering wheels harder so that they can successfully go through it. This bridge was built because there are many boats passing in the river so they had to build a tall bridge to accommodate those boats but everyone was shocked when the bridge became this tall. 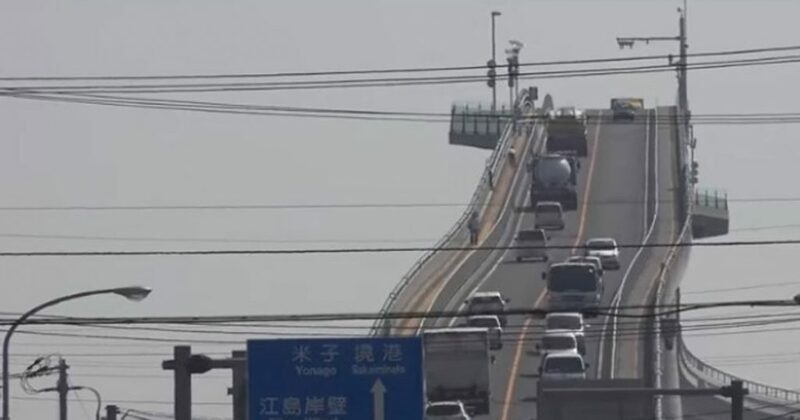 The local government has declared that the bridge is safe to drive on but people who have motion sickness might have a problem as their vehicle is going down. Several engineers designed the bridge with a 6.1 percent slope which rises 6.1 feet every time the vehicles moves forward to 100 feet. 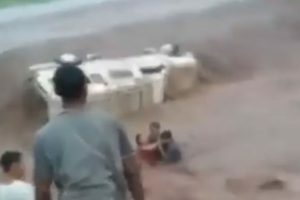 It may look scary but there have been no recordings of accident on the bridge and it’s even on the 24th place for the top attractions of Sakaiminato. It’s being visited by locals and foreign tourists for its unique structure. The bridge in Sakaiminato may be giving some scary thoughts to many but it’s undeniable that this robust structure is also attracting many visitors from around the world. It’s design and the level of excitement one can get from going through it is exceptional that people are willing to travel all the way to Japan just to see it and experience the ride. If you have motion sickness or you’re too scared to try it, you may want to gather all your courage first before you do but everyone who went through this bridge are happy for trying.